Hot In Herre by Nelly. Love this song. The East Coast of the U.S. is in the middle of a heat wave, Colorado is on FIRE, and I just finished putting a new heated build platform harness into my MakerBot Replicator. This is the third HBP harness I’ve been through since I’ve owned the Replicator. This one’s a nice shiny red, which works for me semantically. Red==hot. Nice touch, MakerBot Industries. 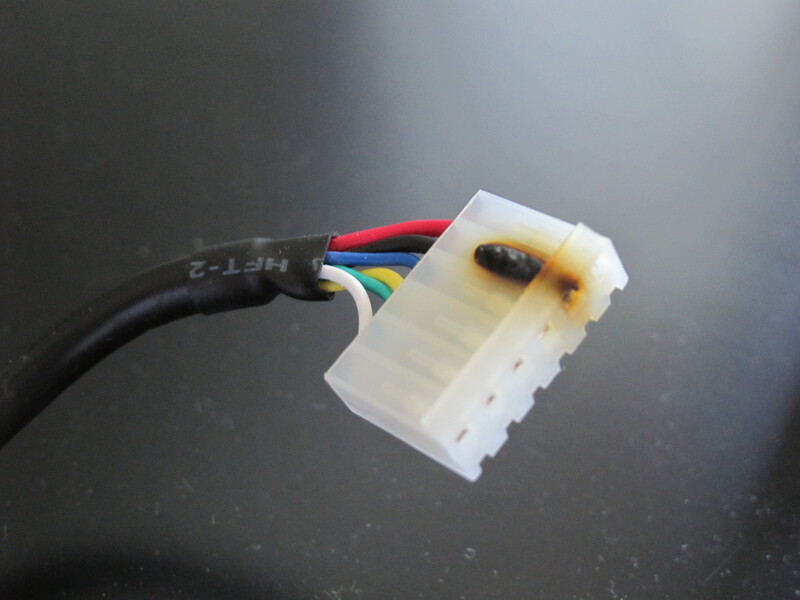 Apparently this was a common enough problem that MakerBot redesigned the thing to handle higher temperatures. 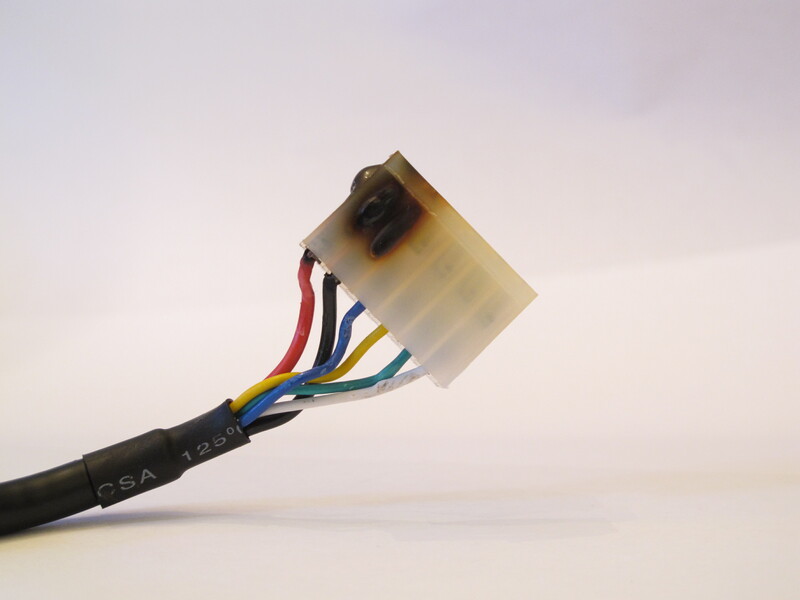 It started with a little charring around the power pin. I asked MakerBot if this was normal, and they said no and shipped me out a new one immediately. HBP harness #2 lasted a few weeks before the charring started, this time on the ground pin. I didn’t realize how bad it was until I took apart the Replicator and got a look at the underside. Lucky for me I contacted support way, way before it finally failed. Into the parts bin with you, buddy. I give you 3:1 odds of being resurrected as part of a robotic abomination sometime in the future. Earlier today my HBP was stuck at 25°C, so I busted out the allen wrenches and the tiny screwdrivers and replaced the meshuggeneh harness with the spiffy new one. MakerBot Industries tech support has been top-notch with sending out replacement parts. Thanks guys and gals, I’m back in bidness. 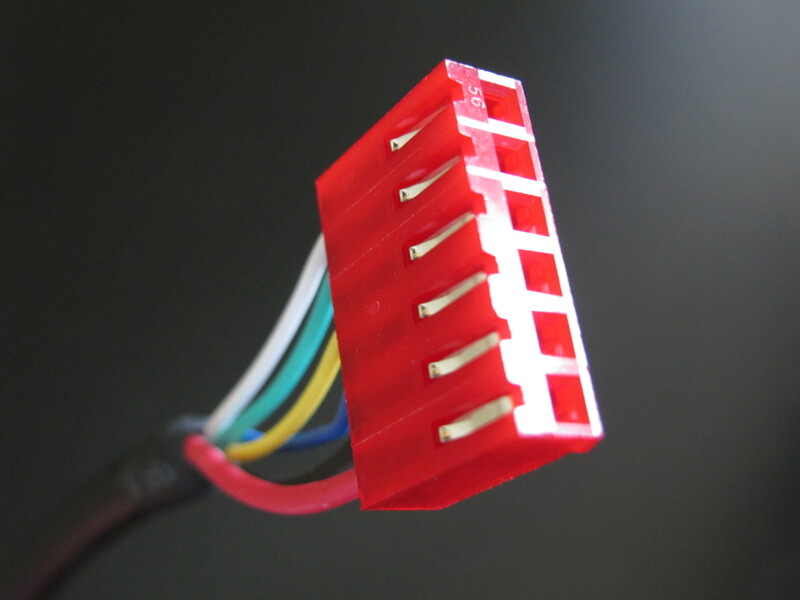 This entry was posted in 3D Printing, FAIL, troubleshooting on July 3, 2012 by zheng3.